Yesterday, both Laser fleets completed two races on the first day of the Olympic Classes Trofeo Princesa Sofia on Palma Bay with a 12-15 kn unconstant varying wind from the land decreasing during the day. Leader among the 136 Lasers Standard, sailing in three groups, is Joel Rodriguez ESP with the day ranks 1 and 3 in his group, ahead of Mathias Mollatt NOR and Franceso Marrai ITA. 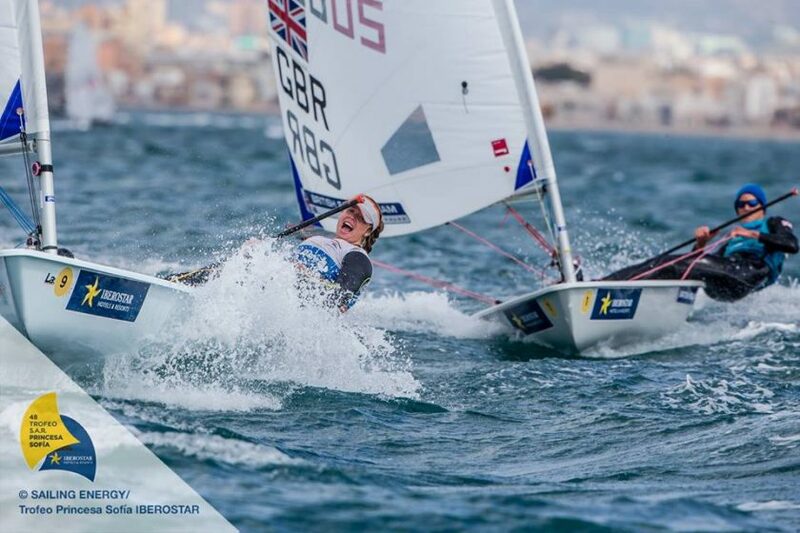 Maxime Jonker NED, ranks 1 and 2 in her group, is on top of the Lasers Radial in front of Evi Van Acker BEL and Alison Young GBR on the ranks 2 and 3.